Jersey Seafaris was established in 2011. 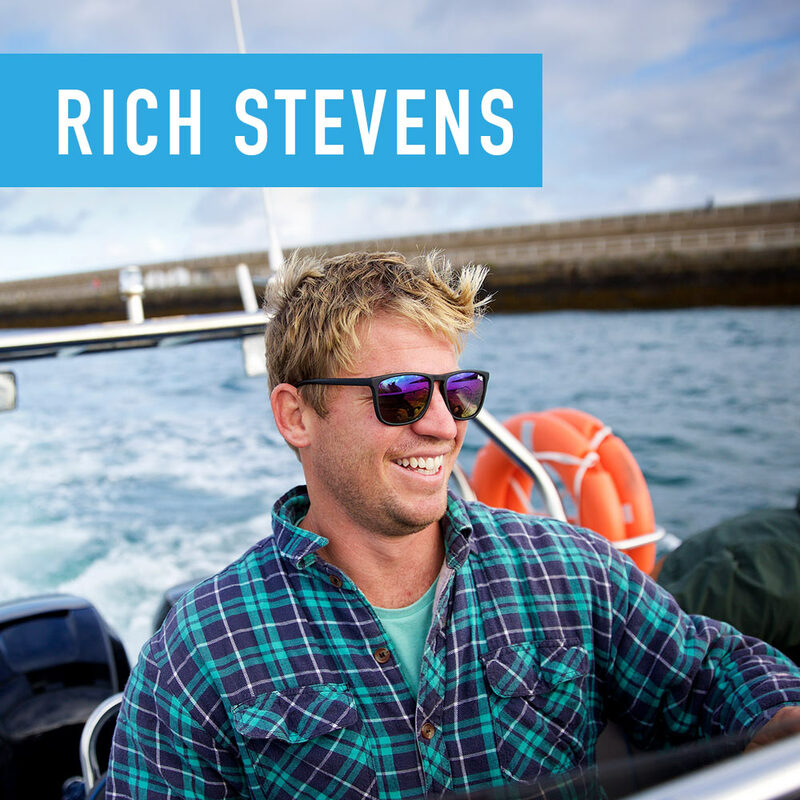 It quickly established itself as the largest RIB operator in the Channel Islands. We run regular RIB boat trips, tours and charters around Jersey’s magnificent coastline and offshore islands. We are the number 1 tour in Jersey on TripAdvisor! We also provide Private Charters for a bespoke experience – zip across to France for dinner or enjoy a picnic on a sandbank miles from land, with just your friends and even the odd dolphin for company! Contact Us for more information. We look forward to welcoming you on a Seafari soon! What is your favourite trip and why - Les Minquiers on a big low tide and sunny day!! - Glorious you could be anywhere in the world! Best moment on a seafari trip - A charter to Les Ecrehous with a group from Bangladesh - they were literally the happiest people I have ever met! Huges smiles, singing and dancing from start to finish!! Favourite obscure fact - Lobsters can live up to 100 years! 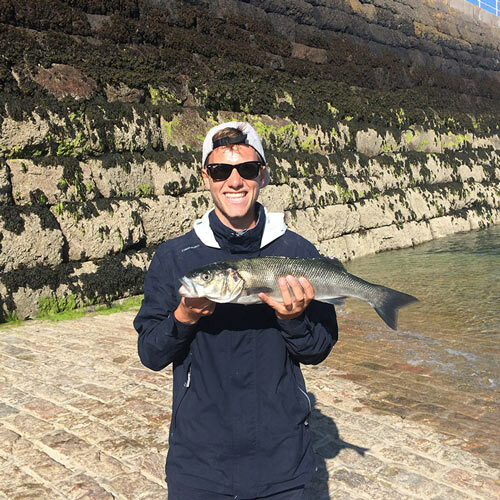 About me - I’m a Jersey lad that grew up on the water sailing with my family around local waters and slightly further afield. I had my first boat at 10 and they have slowly got bigger and faster over time! My dream was to do something I loved...so I did it! I loved taking people to all these incredible places in and around our island so I thought why not do that! So in 2011 I set up Jersey Seafaris!! Outside of the summer season, you will find me playing rugby, exploring the coast or heading off island in search of waves, snow and adventure! What is your favourite trip and why - The North Coast, perfect for charter trips, visiting caves, secret beaches and seeing some of the island's history and heritage along the way. About me - Around the age of 10 my dad used to take us out fishing on a small work boat owned by the Jersey Oyster Company. When I was older, during the school holidays, I crewed on La Duchesse de Normandie, taking Jersey Kayak Adventures to Jersey’s offshore reefs. I enrolled with RNLI in 2012 and have been crewing on St.Catherine’s inshore lifeboat ever since. I started crewing for Seafaris in 2013 and got my qualifications to skipper in 2014. Outside of work I enjoy going out for a fish on Tom’s boat ‘Scally Too’. In the winter months I try and get off the island for a bit of exploration and adventure. What is your favourite trip and why - Les Ecrehous. No matter how many times I visit, never find it boring. Also the wildlife is amazing out there. My 3 luxury items when working on the sea are - Fishing rod, camera and sketchbook. Best moment on a seafari trip - Going over to Carteret to watch the Tour de France. Leaving Jersey in pouring rain and hoping for the best. The atmosphere in the small town and the whole event did not disappoint. Favourite obscure fact - Killer whales have been spotted in Jersey waters… may of just started a rumour. About me - Always had a love for the sea. From an early age I went out from Rozel Harbour on my dad’s fishing boat. Whether it was to help pull in the nets, driving the boat as he sorted the lobster pots or just for a fish. It is still the same twenty years later on. I started crewing for Seafaris in 2014 and gained my qualifications to skipper in 2016. During winter months, I try and pick up where I left off as a freelance illustrator, as well as spending my hard earned money ticking off items from the bucket list. Nickname - Adolphus dolphinden, Snow hammer, Snowman. What is your favourite trip and why - The Ecrehous, I love dolphins. My 3 luxury items when working on the sea are - Peanut sandwiches, quadcopter, factor 50 million suncream. Best moment on a seafari trip - Demonstrating sitting on a floating chair with all of my clothes on, before slow-mo face planting into the water. Favourite obscure fact - Guernsey has no Lizards or snakes as it has been an Island for rather a lot longer than Jersey. About me - Played rugby with sledgehammer and then got the call up for a life at sea at the start of the 2015 season. 2018 will be my fourth season - it get’s better every time! I like dolphins and my dream is to see an Orca. I enjoy playing rugby, football and squash. I also enjoy singing and playing the guitar, I can smash windows with my high notes. What is your favourite trip and why - Chausey- Island life with a french flair! A boating haven which ought to be on everyone’s bucket list. Best moment on a seafari trip- On the return journey of a late summer minquiers trip we were almost home by the demi de pas when were met by a huge pod of dolphins leaping out the water, staying with us as we cruised in soaking up the sunset. Favourite obscure fact - The largest bass caught in jersey is 16lb. About me - I have been on boats since I can remember sailing our local waters with family. I then started at St Catherine's Sailing Club aged 8; soon getting into dinghy racing as well as filling in on yacht crews wherever possible. I recently competed in the laser standard class in the 2015 Island Games and have ambitions of getting into single handed yacht racing in the future. 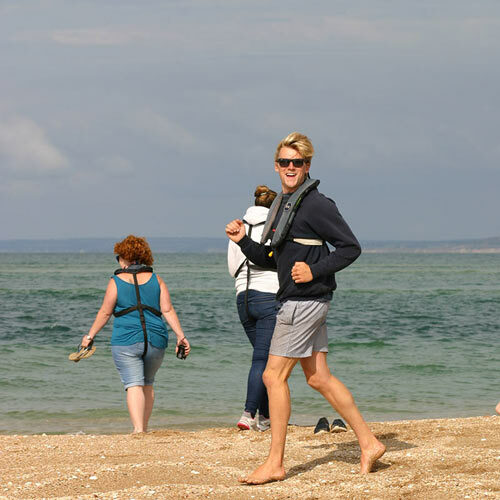 I have worked as a sailing instructor for the past 5 years and am now looking forward to my second season with Jersey Seafaris! Any free time I get I'm straight back on the water with friends exploring and looking for potential new Seafaris trips. Nickname - Some people call me ‘the better Luce brother’. What is your favourite trip and why - Carteret for a long lunch on a sunny summer's day. (even better when you’re not working). My 3 luxury items when working on the sea are - Sunglasses, Haribo Starmix and Snowman’s (slightly suspect) spotify playlist. Best moment on a seafari trip- Watching the 2016 Tour de France in Carteret. After a miserable start to the day the sun came out just in time to enjoy seeing the publicity caravan and the riders pass. The atmosphere was amazing. Allez le bleu! Favourite obscure fact - The french have ‘invaded’ Les Ecrehous twice, in 1993 and in 1994, trying to claim it as part of France. About me - Dan’s older brother and generally better in every way. Like Dan I got hooked on boating at an early age after going out fishing with our dad. In 2012 I bought my first boat with a group of friends, from then on any opportunity I get I try and get out on the water. I started working for Seafaris as part time crew in 2015 and got my skippers qualifications in 2016. When i’m not working i enjoy being out in the countryside or out on the water. Summer months are normally spent spearfishing or walking the 2 family Springer Spaniels.